Prime Minister Ranil Wickremesinghe greets Indonesian President Joko Widodo at the Melina Hotel in Vietnam yesterday. Picture by PM’s Media Unit. Sri Lanka and Indonesia decided to further strengthen friendly ties between the two countries and work unitedly to ensure free naval movement and security in the Indian Ocean. 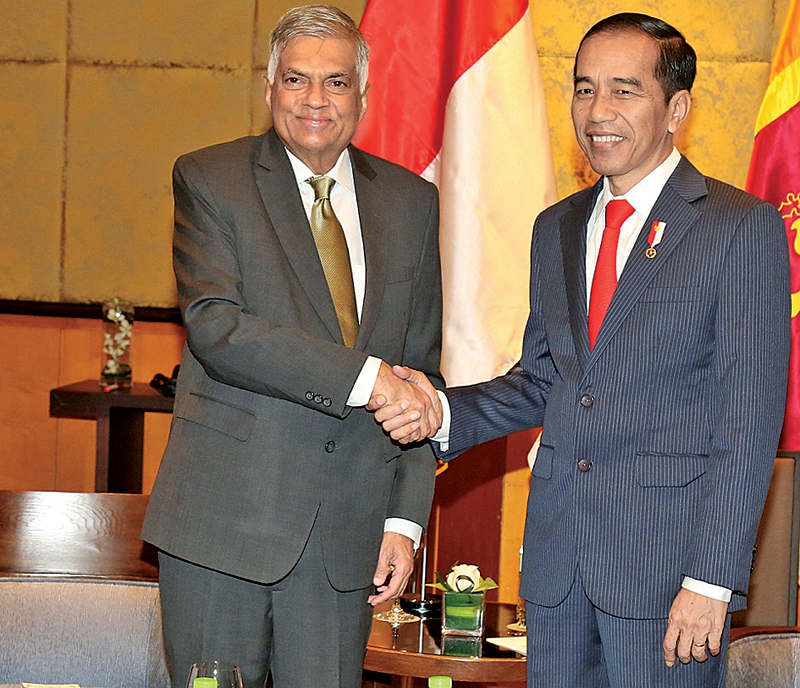 The decisions were reached during the bilateral meeting held between Prime Minister Ranil Wickremesinghe and Indonesian President Joko Widodo, at the Melia Hotel in Hanoi, Vietnam yesterday morning (12). Premier Wickremesinghe and the Indonesian President’s attention was drawn on implementing a strategy jointly to acquire a considerable proportion of the European market. The two leaders also agreed to set up a joint committee to expanding trade, investment and business opportunities between Sri Lanka and Indonesia and thereafter to enter into a Free Trade Agreement between the two countries in due course.